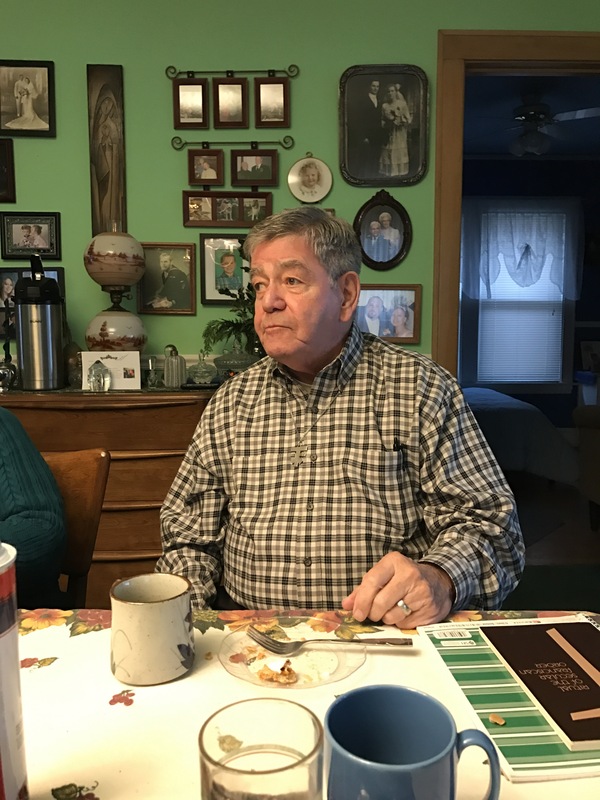 Patrick Mendes was in attendance and enjoyed the lovely lunch. 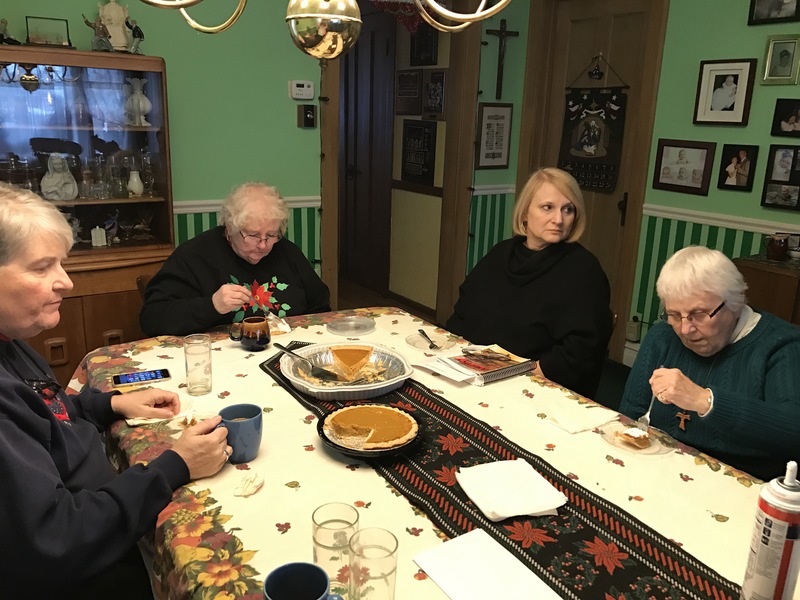 Here are some members of our fraternity (from left to right): Sister Dorothy Pagosa, our Spiritual Assistant; Diane, who makes awesome lunch awesome; Susan, our soon to be professed candidate; and Barb, who is digging into that pumpkin pie like there is no tomorrow. 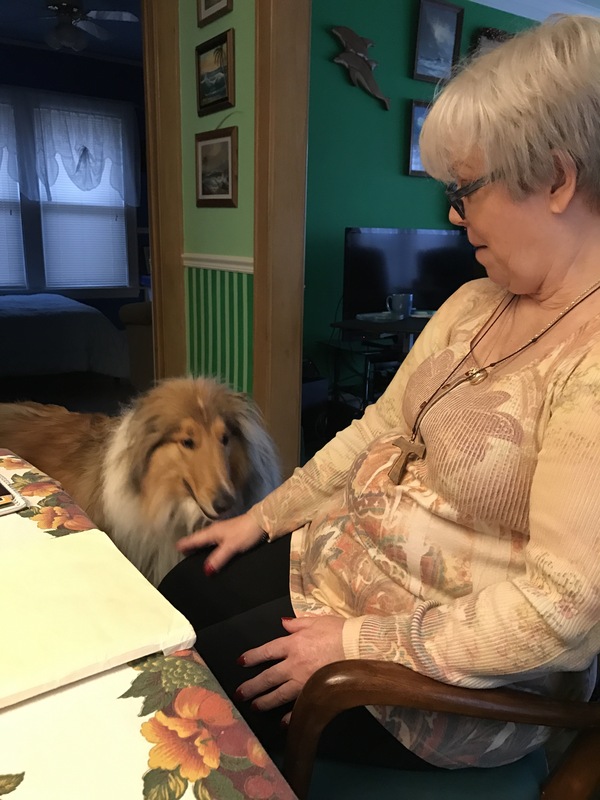 Wellspring’s guard dog, Keltie, is inspecting our Regional Minister’s hand. We thoroughly enjoyed having Lorna Miressi visiting us.